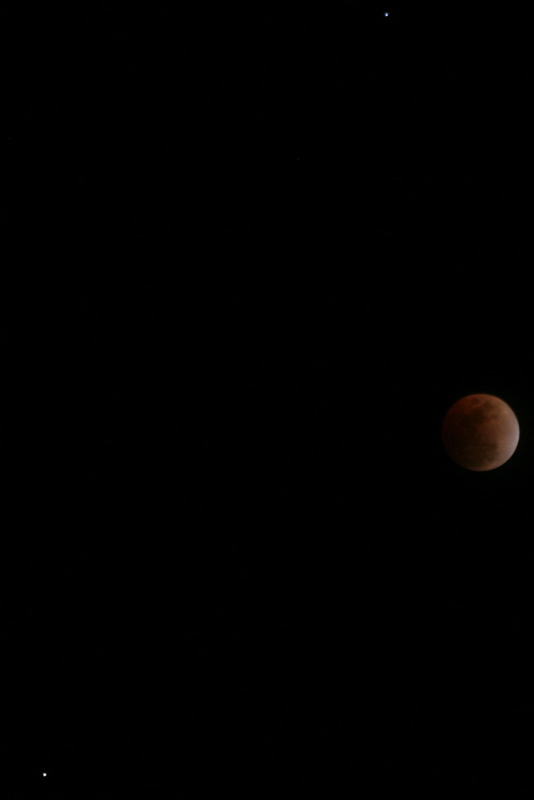 Eclipse Turns Out Nicely In Thornton! 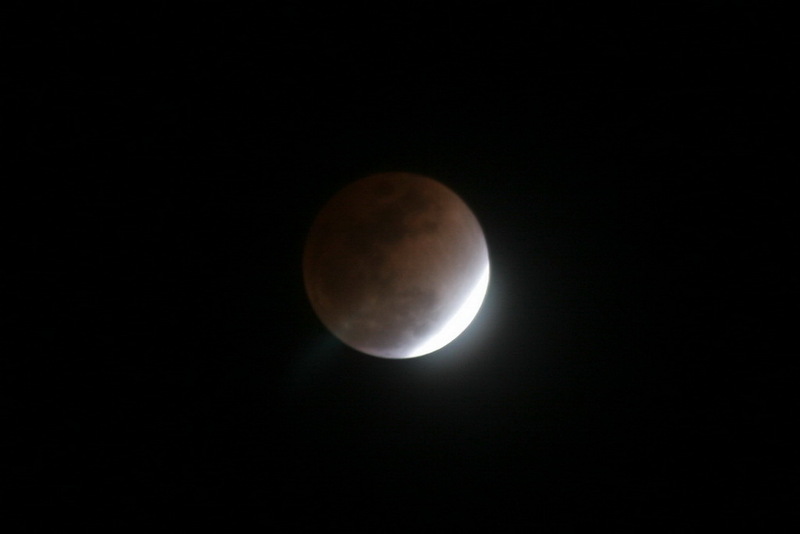 The lunar eclipse last night started out a bit rough with some light cloud cover obscuring the view. 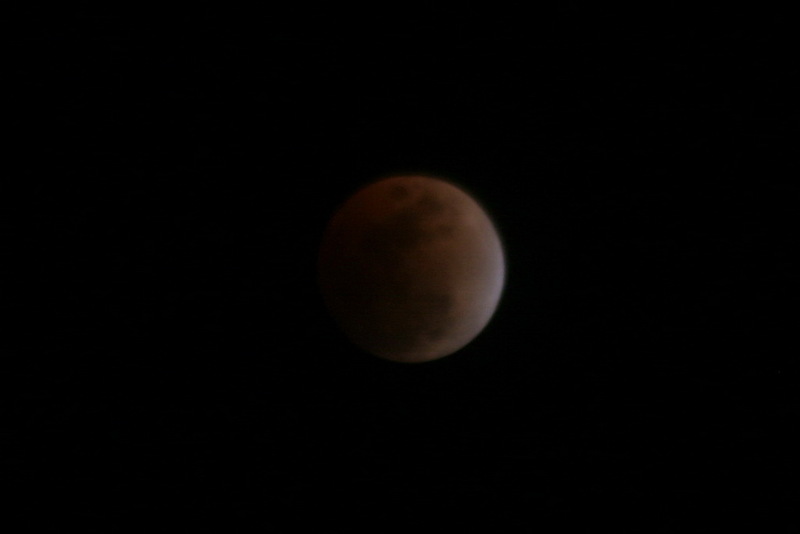 However, a bit before the eclipse was at its maximum, the clouds cleared and we ended up with quite a nice view. 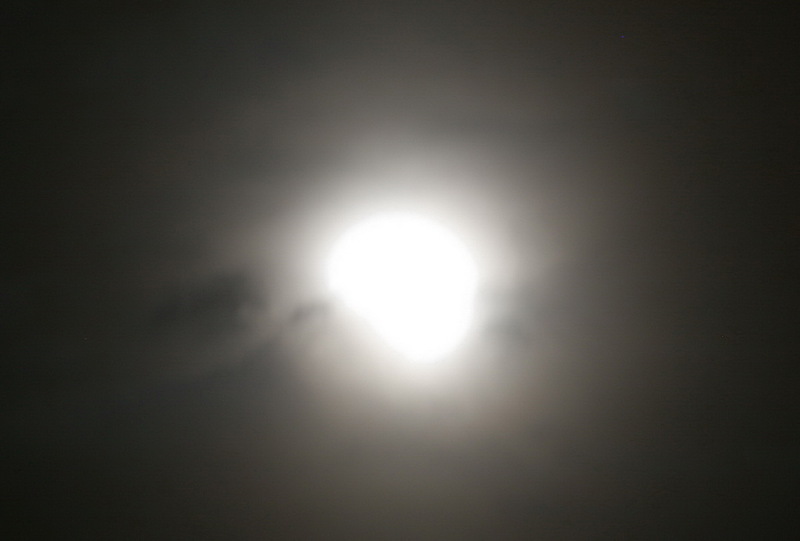 As an added treat, Regulus and Saturn were clearly visible and very bright above and below left of the moon. Here are some pictures we took last night, in order from the start to finish. 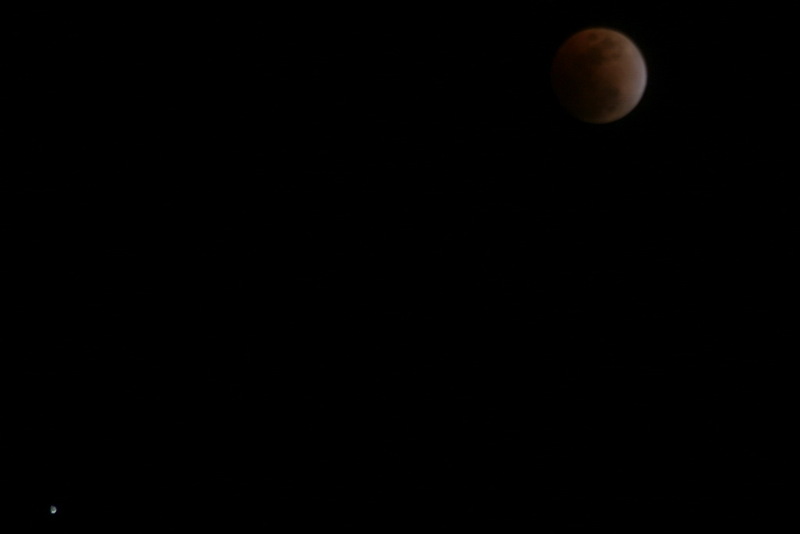 This entry was posted on Thursday, February 21st, 2008 at 7:29am MDT and is filed under Astronomy. You can follow any responses to this entry through the RSS 2.0 feed. You can skip to the end and leave a response. Pinging is currently not allowed.